Last weekend we were lucky enough to have Matt’s parents up for a visit. I absolutely love having them here and Matt’s mom was kind enough to teach me the basics of knitting. In the last week I have knitted three scarves ( well 2 and a half since one was for the dog) and I have to say I have found a new hobby! When I have a little more practice under my needles I hope to get a few patterns from Tiny Owls Magic Patterns. 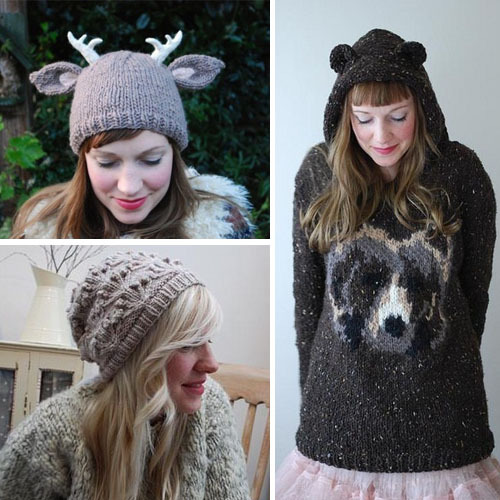 These woodland inspired knitting patterns are just amazing! I especially like the bear hooded sweater, it looks so very very cozy. No Responses to "BEAUTIFUL WOODLAND knitting patterns"